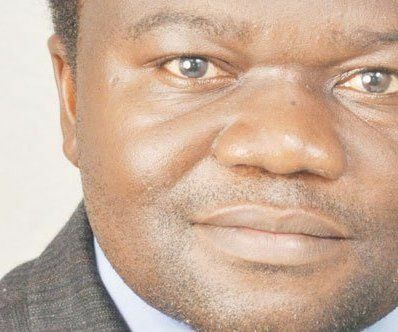 The Malawi government through the ministry of health has banned all the country’s District Health Officers (DHO) from talking to the media on the financial crisis that has hit the health department and affected service delivery in hospitals. According to a memo signed by principal secretary for the ministry of health, Dr. Macphail Magwira, the Malawi government has thought of doing so because most officials in the sector are giving out contradictory information to the media. Minister of health Peter Kumpalume has backed the decision saying his ministry wants to continue giving the general public coordinated information rather than contradicting themselves. Meanwhile, the Media Institute for Southern Africa- Malawi chapter (Misa-Malawi) has strongly condemned the ban and has asked the ministry to reverse the decision. Chairperson for Misa-Malawi chapter, Thom Khanje, said it will be hard for reporters to find information in the sector. Khanje added that instead of going forward with access to information, the ministry is moving backward. Reports show that the ban is a result of interviews which were done by DHOs and district medical officers with the media on various angles in the sector without involving ministry of health spokesperson. The other very important cause of most of Malawi’s problems is over population, which puts pressure on all resources and unlike in other countries. govt offeres free services in hospitals. People from neighbouring countries take advantage to get the free health services, putting even more pressure on our overstretched resources. To make matters even worse, there are among us people who want to get rich quickly by taking what belongs to all of us to enrich themselves. Signs of a collapsed Nation with 18 hrs of black out per day. malawi wil neva be de again even mutasintha olamulila dziko mkubwela wina malawi wil neva change.we dont av enough resources here in malawi,olemela azingo lemela and osauka azingosaukilabe.tingovomeleza basi palibe yomwe azasithe malawi.ngakhale atamalamulila omwe mukuwafuna panowa kut alamulile sadzasitha malawi.Note Dat politics is a game of numbers.ONE LOVE. Instead of finding ways of ending poverty,sufferings,or economic challenges malawians are facing today you are busy kulimbana ndi ma DHO seriuos?Zoonadi atcheya ananena “Running the government is a serious bussiness”.Pliz find ways zothesera mabvuto ali mu zipatala zathu like kusowa kwa mankhwala,funding yochepa yomwe ikupangisa ktu ma patients adzidya kamodzi pa tsiku and other challenges hospital staff are facing. this is another step of life whereby poor man can not manage to survive. Ndikadakhala nyelele ine ayo ndikadakumba ndilowe ine mayo.proclaimed by poor man fro de GETTO. this is another step of life whereby poor man can not manage to survive. My mother in Ntcheu was sick and we took her to kandeu dispensary. She was medically treated very well and as am writing this message, she is on her feet again. Just 4 days ago, my elder cousin at home got ill and was rushed to Ganya catholic maternity hospital where he was referred to Ntcheu District Hospital. As of now he is back home and recovering very fast because of the treatment he was given at Ntcheu hospital. Now when you repeatedly, say that there are no medicine and that people are dying like chickens in hospitals, are you true? Are you not exaggerating the situation in our hospitals to gain your political mileage? Don’t you fall sick some times? Where do you get medical treatment? If its from govt hospitals, why are you still alive? Or how many of your relatives in the village have died in hospitals due to lack of medics? Is it strange to die in hospital? Kamuzu Banda, chakufkwa chihana, Mr nyondo, Nelson Mandela, Michael Satha in Zambia and many more had died while on good medical treatment in very good hospitals. So the issue of people dying in hospitals did not start yesterday. In 2011, I lost my best friend while on good medical treatment at kasungu district hospital just to cite another example. Remember in the garden of Eden, God said the day you eat of that tree, you shall surely die. Dying in hospitals should not be policised because I see no connection here. Lets be concerned with our relationship with God when we die or when they die. Are we in a good relationship with God to day? In every organisation, there is a working organisational structure and a public relations officer is part of it. DHOs are not such officers hence I totally support the order by govt to relieve the DHOS of duties of the public relations officers. Its not their duty to pass information to the press. They should always refer journalists to the rightful duty officer, the public relations officer. Where is it difficult for you to understand this simple policy? Adatsakula zipatala zawo za private. Mankhwala akupita kumeneko. Contact 0997292474 for more. Lets share good n’ bad news, the problem in our country needs to be shared to map the way forward. By the way, why do we still have Peter? Where is our opposition and all these human rights groups? The govt is right..coz by silencing the DHO’s problems wl be solved. DHO’s plz..silence be observed ..billions of kwachas r afraid of ur concerns over the people u vowed to serve. Everyone knows dat ma donors anasiya kupanga fund Malawi, so how do u expect dat chilichonse chiziyenda bwino ? Kapenatu by miracles……. Jounalist shud b responsiv in their writng, based on situation on d ground rather on political mileage and selfish motives. So you mean journalists are cheating? hey baba u mean journalist must not do there job? To be precise, Hon Minister Kumpalume did not support the idea,but he actually co-formulated the same with Prof APM to mask health sector crisis. The policy will soon resort to the rest of the ministries. bwana akakulemba ntchito yina yiliyose ayera akupase zida zantchitoyo basi,ngati zida palibe usiya bwanji kudandaula?ndie ma DHOs asiya bwanji kudandaula miyoyo ya anthu yikupululuka?A Kamupalume ndimisala yanji mwayambayo kodi?mkufunika metal hospital otherwise mthawira mthengo basi,,kupondeleza mpaka ku miyoyo zoona?iwe ndi Peter wakoyo machende anu. #Peter must step down,,,zaka ziwiri zatha,.wat abt ths cuming 3years tithothokatu tonsetu..wake up Malawi..
Are you ashamed of economic crisis? kodi gawo IV la Malamulo oyendetsera dziko lino lapita kuti? Freedom of expression is truly deaf,it can be used to destroy or used to oppress. But we are busy talking about human rights yet we practice the opposite on the ground. Its the high time we learn to practice what we preach, they have the right to express their views, shame on us! D H O ntchito yake si yoyonkhula,koma yachipatala.ngati akufuna adziyankhila,asiye ntchito yo ndikukayamba utolankhani ku zbs.inenso ndimagwira ntchito m’boma ndipo malamulo sandilora kuyankhula ndi atolankhani paza ntchito yanga.ngati ndingatero,ndikuyenera kubisa dzina langa.ask mr #chauluka of times group of companies. do we have a right to information? #Malawi@50,,Ma DHO akayankhula Bussines Community and other Well Wishers were helping….Hospitals are just as Prisons today/Patients are being treated as Prisoners,imagn 1 meal a day for a sick person! !My Malawi..
zilibe kanthu bola anthu adzifa,nanga olo muwaletse zibweretsa nsima mzipatalamo? W@s da meaning of wtf? how d u look at it isnt it strange? hahahahahahah koma…… freedom ov press,,,, imenei itvuta bwnj….